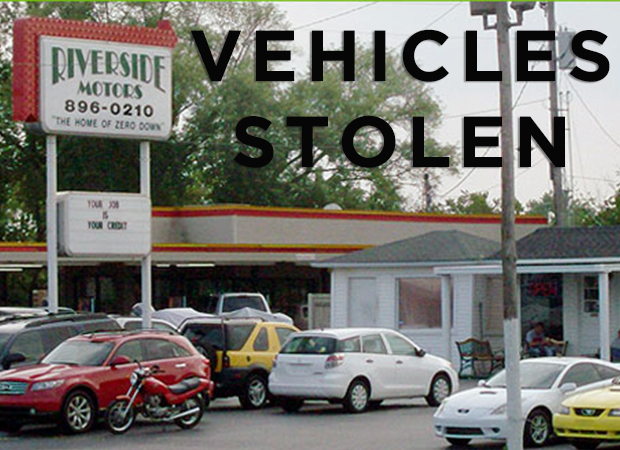 Four vehicles were stolen from Riverside Motors on Northwest Broad. Murfreesboro Police Officer Phillip Simpson was called to the business around 9:30 Sunday morning after Marty Clancy reported the vehicles stolen. Clancy told the officer that entry was made via a rear garage roll-up door that was pried back at the bottom corner. The suspect or suspects got keys to a vehicle used to block the business entrance, took that vehicle along with three others. A 2008 GMC Acadia, 2008 Nissan Titan, 2007 Ford F-150 and a 2013 Chevrolet Silverado were stolen along with a set of tools and battery charger. At the nearby Sonic restaurant, a suspicious vehicle had been parked since around 10pm Saturday night. Officer Simpson reports seeing burglary type tools, jumper cables and other items related to vehicle operation in the unsecured vehicle. 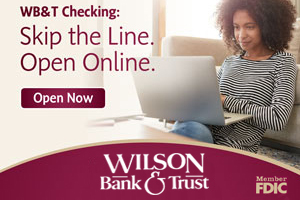 It was registered to a Lewisburg residence. A woman claiming to be the vehicle owner called the Sonic to explain why the car was there, but Simpson reports the connection was bad. He was able to make out the vehicle owner, which matched registration. Detectives were called and the case is under investigation.